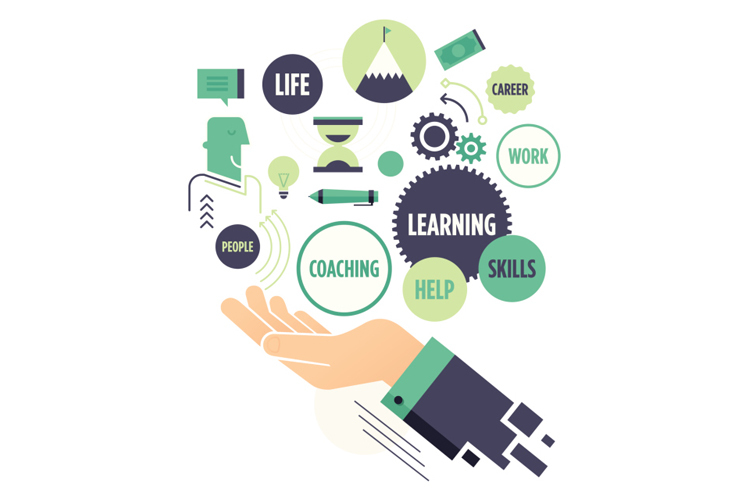 This article provides help with understanding and evaluating career skills. Team working, problem solving, organisation, leadership, initiative, attention to detail – there are so many buzz words out there, but what do they mean on the ground? In order to demonstrate that you have a particular skill, you first need to understand what it means, and that involves knowing what sort of behaviours and actions are components of that skill. Identified clearly why they were communicating and what they wanted to achieve rather than hoping that the other people get the point. Researched and understood the target audience – their needs, background knowledge, level of understanding, preferred communication methods, personality - rather than making too many assumptions, or using stereotypes - and gained a thorough understanding of the topic they were communicating, so that they can speak with authority - rather than going on about something they know little about. Prioritised and selected what to include and what to leave out, rather than giving too much or too little information adapted their materials and methods of communication for the particular topic and audience, rather than relying on the same old techniques that are easiest for them. Anticipated potential misunderstandings or likely areas of confusion and checking that the right message has been communicated, rather than assuming everyone will approach things from the same perspective. Chose an appropriate level of language to use, rather than hiding behind complex jargon or being patronising actively listened to and responded to the views of others, rather than forcing their views on others. Spent time reviewing, correcting, amending and refining their words, rather than just dashing something off without thinking. Engaged with people through appropriate eye-contact and body language, rather than just focusing on the information reviewed the results of previous communication and sought feedback in order to improve in the future, rather than assuming everything was as good as it could be. If you want to know how good someone’s communication skills were, you could see how many things from the list they regularly engage in, and how effectively they do them. A bad communicator would do hardly any of those things, a moderately good communicator would do some of them, a great communicator would probably do all of them (and more). You can do the same for any skill buzz word, by thinking about what behaviours you might observe in someone who was really good at that skill (or by thinking about what someone who is a really bad example might do). Even though many jobs ask for very similar sets of skills, differences in the nature of the roles and the working environments mean that the skills are used in different ways. Each responsibility will require a combination of different skills in order to be successfully fulfilled. Organise meetings, conferences or events, this includes sourcing venues, liaising with speakers and exhibitors, etc. Oversee the smooth and efficient running of the department’s events from initial idea to event review. Clarify exactly what the event was intended to achieve, so that the stakeholders were always completely satisfied obtain information from venues about their capacity, availability and facilities, so that you had all the information at your fingertips when you needed it. Explain exactly what you want from any suppliers or speakers, so that they don’t do the wrong thing negotiate over terms and conditions for venue and equipment hire, so that you get the best deals. Draft publicity materials targeted at an appropriate audience, so that you get all the right people coming. Write clear joining instructions for delegates and exhibitors, so that you minimise the number of questions they ask respond promptly to enquiries with accuracy, patience and tact, so that nobody experiences delays or confusion provide regular reports and updates on the event’s progress, so that stakeholders feel fully informed and don’t worry. You could, of course, do the same for any other skills. For example, how might this task utilise problem solving or initiative? So, you have looked at how to unpack a skill buzz word to see what it is made up of. You have also examined how a particular skill helps you to fulfil a specific job responsibility. This is important, because it is much easier to remember having performed a particular action, or having behaved in a certain way, than it is to dredge up examples that demonstrate an abstract buzz word. If you are looking for evidence for a specific skill, just pick one of the behaviours associated with that skill. For example, if you are trying to find examples of your communication skills, try to remember times when you: ‘anticipated potential misunderstandings or likely areas of confusion and checking that the right message has been communicated’. If you can find any, you have probably identified some evidence for your communication skills. Do the same thing with the rest of the behaviours. Start off by making some lists. List your achievements – Make a list of things you are proud of. They could be from your work or non-work activities. What have you done well? When were you uncertain that you could manage something, but you pulled it off? When did you face a challenge? When did you surprise yourself? When did you get some praise or good feedback for something you did? List your daily activities – What do you do regularly? What behaviours are part of your day-to-day routine? What things do you do without really thinking about them? Now, go through each item on your list and try to explore how you used various skills within that activity, just as in Step 2 we looked for elements of communication skills in the job responsibility. How did you use communication skills? How did you use problem solving? One way to think of this is to imagine that you have to recruit your replacement for that particular activity. If someone else was going to do it as well as you, what skills and qualities would they have to demonstrate? When they come up with something, such as ‘You are really good at sorting out problems’, ask them if they can think of any examples (of things they have observed you doing) that convinced them of this. By doing this you will start to get an idea of your strengths that have an impact on others, and you will begin to collect examples. It’s a good idea to warn them and give them time to think about it. You should also be prepared to return the favour for them. See if there are behaviours you don’t regularly engage in. See if there are skills that you don’t use within your listed activities. Ask for feedback on your weaknesses. Another way of approaching this is to have a list of common skills. Taking each one in turn, see how many examples you can come up with that demonstrate this skill. The ones that you find hardest to think examples of are the ones you need to work on. Think about what you could do to gain experience of using the skills you lack evidence for. This might involve getting some training, but it is probably more useful to think of things you can get involved in where those skills are used. The easiest way to build skills is to volunteer to take on extra responsibilities either in work or outside work. You could ask other people for examples of how they have used and developed the skills you are targeting.